Shaiha's Ramblings: Don't loose me!! For those of you who follow me through Google Reader, remember that they are shutting down at the end of the month. I have switched over to BlogLovin which makes it very easy to categorize the blogs that I follow. They also allow you to bring over all the blogs that you have at Google Reader. 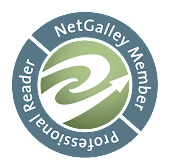 If you haven't found a reader that you like, be sure to check them out. I've come to hate Google for the things they giveth and taketh away! I started searching for a new reader the very day they announced the change. Annoying! !